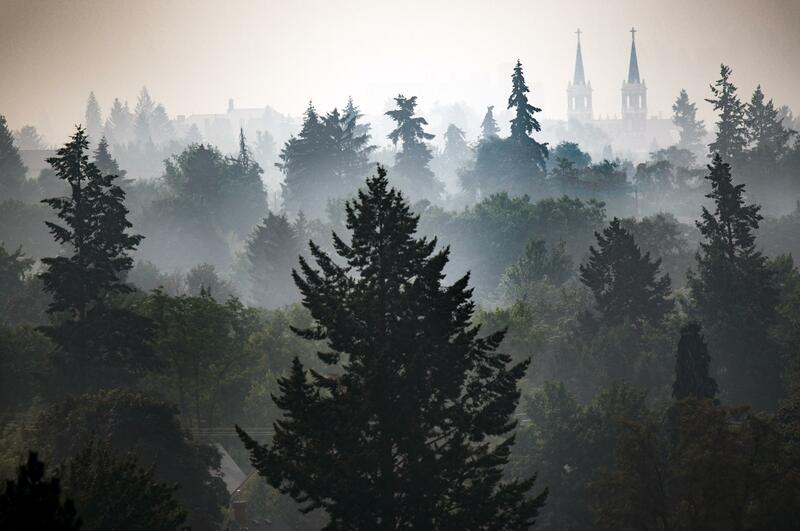 UPDATED: Wed., Aug. 15, 2018, 7:35 a.m.
Air quality in Spokane on Wednesday remained in the “unhealthy” category for the third straight day. Monday began the latest stretch of intense smoky skies. It was the first day in 2018 in which the 1-to-500 air quality index reached 150 – the unhealthy category – for a 24-hour period. The index measures particulate matter 2.5 microns or smaller. The index measured 171 at 6:15 a.m. Wednesday. Published: Aug. 15, 2018, 7:32 a.m. Updated: Aug. 15, 2018, 7:35 a.m.